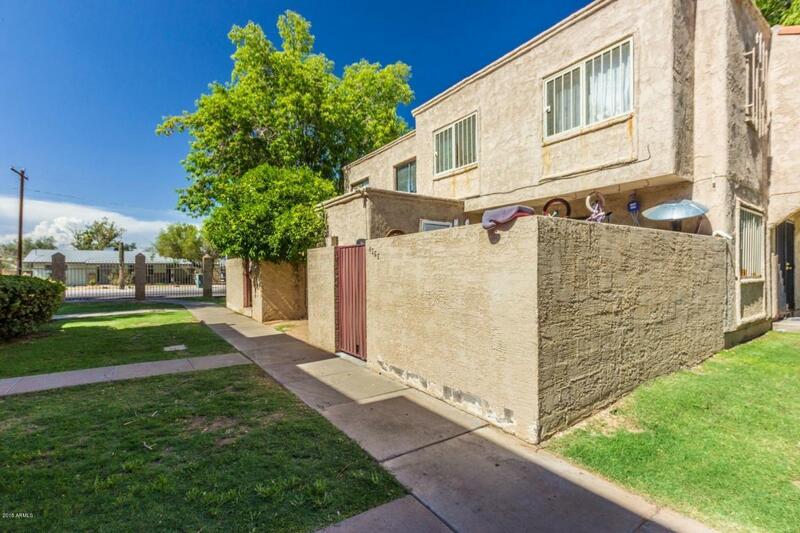 Take a look at this lovely condo in Phoenix! This three bedroom offers a custom color palate throughout, a private patio, cozy family room, formal dining. The newly renovated kitchen includes a marble counter top, unique backsplash, custom cabinets, stainless steel appliances with built in microwave. You'll find three bedrooms upstairs with access to a 3/4 bathroom with custom design features. This is a great price for a cozy home, make it yours today!